Why a fundraiser? Throughout the years the Cumberland County Council on Older Adults has been fortunate to receive funding from federal/state grants, Cumberland County, United Way, Program Income, additional grants, and public donations. While we continue to receive traditional funding, the aging population is increasing quickly; therefore we need to serve a greater amount of seniors. One way to increase service provision is by raising more money, hence why we continue to have Blast From the Past! To raise adequate funds which increase service provision throughout Cumberland County for seniors in need. 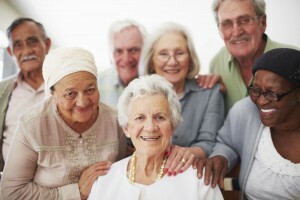 To provide resources that help older adults maintain their independence and age with dignity. We have increased our capacity to serve more client overs the last several years, but due to the rapidly increasing senior population we need to increase our capacity to serve. Raising additional funds will allow us to serve a greater number of seniors in Cumberland County. To raise community awareness and support for the Council on Older Adults so that no eligible senior has to wait for service. We need more local funding to help us make the Council successful in fulfilling this commitment.